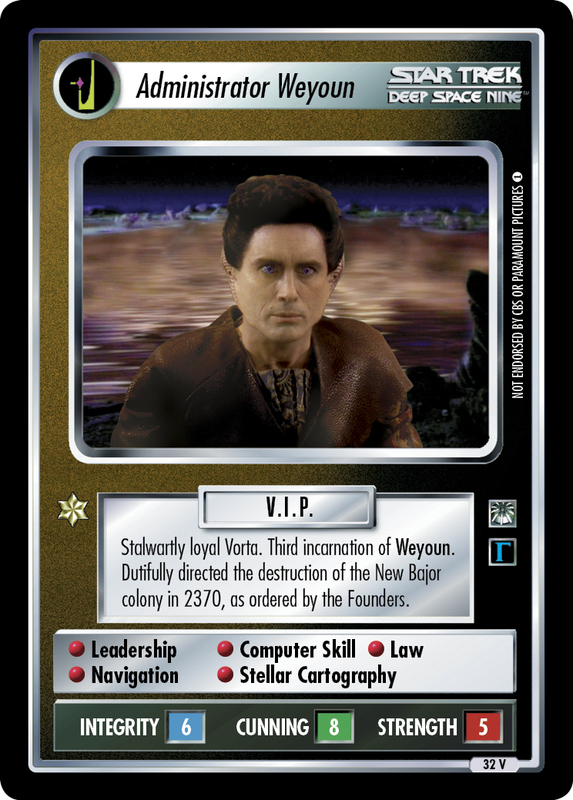 Activated after his predecessor's suspicious death, this clone of the Vorta Weyoun had subtle errors. 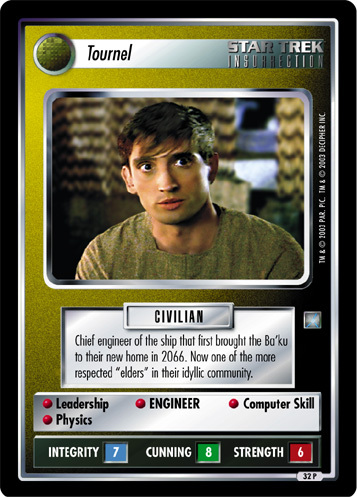 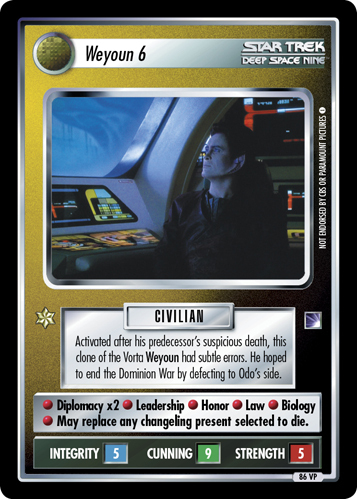 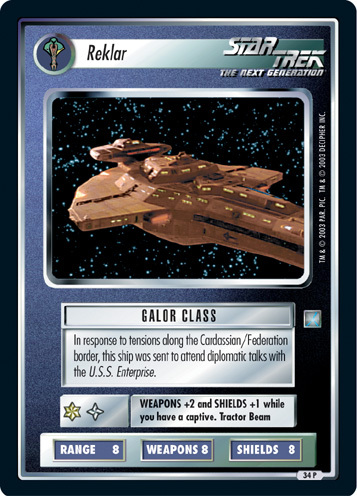 He hoped to end the Dominion War by defecting to Odo's side. 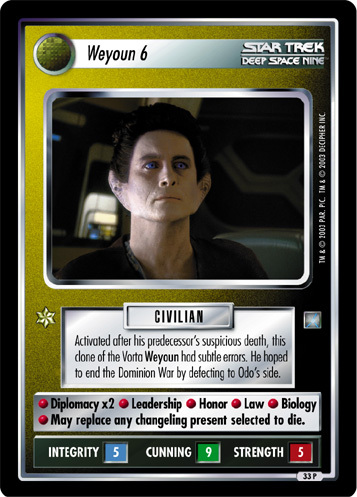 • Diplomacy x2 • Leadership • Honor • Law • Biology • May replace any changeling present selected to die.